If you want to save money, one of the best options is to buy used. Not only can buying something second-hand help you save money, but it also reduces the amount of resources that you use. 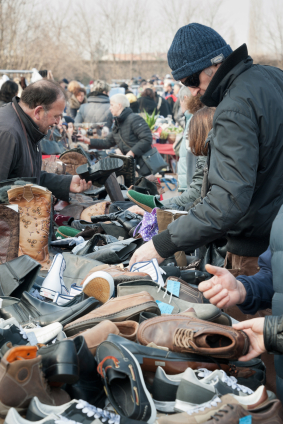 Buying used is one way to increase the sustainability of your life. There are many consumer electronics items that you can purchase used. My husband and I purchased refurbished computers. Our tablet, laptops, and desktop are all refurbished. They are generally cheaper than their brand-new counterparts. As long as we buy them from an authorized source, we can get a guarantee as well. From TVs to gaming systems to phones, buying used can make a great deal of sense, whether you buy used from someone you trust, or whether you buy factory-refurbished, this a good options. Much of the time, baby clothes aren’t used harshly — especially newborn and early infant clothing. We bought a lot of our son’s onesies and other items (including a crib) at a consignment shop. It was much cheaper to buy these items gently used. Your baby doesn’t need brand-new items; he or she will be just fine with used. Plus, if you keep the items in good condition, there is a good chance that you will be able to sell them back for cash or credit for other items. A lot of sports and exercise equipment can be bought used, and work just fine. Used balls, bats, treadmills, hand weights, and other items are much less expensive when bought used. Our stationary bicycle is a used item that still works great even though we have had it for several years. When we bought couches shortly after our marriage, we bought used. We were able to get a great deal on older couches that were very well-built. They lasted us several years, including two cross-country moves. It’s possible to find good-quality used furniture for a fraction of the price you would spend on new furniture. Garage sales, estate sales, and moving sales are all great places to look for used furniture. If you decide that you want to buy video games and movies in physical format, used can be a great choice. We have several movies and TV shows bought used (I’m still trying to convince my husband that straight up streaming and digital copies are the way to go). We’ve bought used video games as well. There are some cases when buying new can make sense for your situation — at least that’s what I tell myself. When we bought our last car, we did end up buying new. We looked at some used cars, but with dealer incentives for new, and the time of year we bought (toward the end of the month in November), it ended up being cheaper to get the new car. What do you think? What items do you prefer to buy used? What do you buy new? I have never been picky with used items and almost all our furniture is used. But we bought a brand new quality mattress, and it was worth the expense. I agree with you on the mattress! I can’t imagine buying a used mattress. Sleep is so important, you don’t want to mess with it. That’s great! One of my son’s favorite gifts is a used sewing machine that my parents got him. He doesn’t know any different, and it works great. Used books have so much more character, as well. The quality of production is also often better, and there’s that great “old book” smell. I really like old books. I’ve converted to the Kindle, but look for certain old books as a collector. My allergist would be happy if I had only eBooks. I couldn’t agree with you more. Technology changes so fast and you’ll only go broke if you keep up with it. so wit for other to get rid of their electronics and buy them. Some electronics are better to buy used than others. iPods, tablets, and smart phones are generally a bad idea to buy used, as they have a pretty short life to begin with. Laptops can be a great buy used. I do try to buy most of my non-bestseller books new because, as a novelist myself, the stagnating earnings for authors for the last 40 years has made making a living as a writer extremely difficult. I have choices where I can put my discretionary income, and supporting a writer I enjoy and want more books from is high up on my priority list. That’s a good point, about putting your money into purchases that support something that matters to you. Our iPods and tablets have been great refurbished. We did end up buying new iPhones, though. We bought refurbished iPods, and they lasted only 2 years. :/ Come to find out, the average lifespan for an iPod is only 3 years. So I’m not doing that again…. But the price has come down a lot, too, which helps! Nice list! There are really some things we should buy used like electronics since it’s value seems to depreciate so fast and some people are selling them almost good as new since they want to get the latest. I would buy many of these items second-hand before buying new that’s no secret. I am a bit picky about furniture and in Canada there are certain baby items we can sell and not sell according to Health Canada. I would be cautious if it came to cribs, car seats etc… but baby clothes are well worth buying used. Great suggestions. There are indeed computer items that are worth buying for children’s basic school project purposes. Most people upgrade their units right away with the fast developing technology. Great tips Miranda! I really appreciate buying used items – especially with books and furniture. It not only saves your money but also give you those old world charm! Great post! I love to buy used. For money and environmental reasons!